Why is it that one or two departments have more turnover then everybody else combined? Does it seem that they have problems with both supervisors and employees leaving? 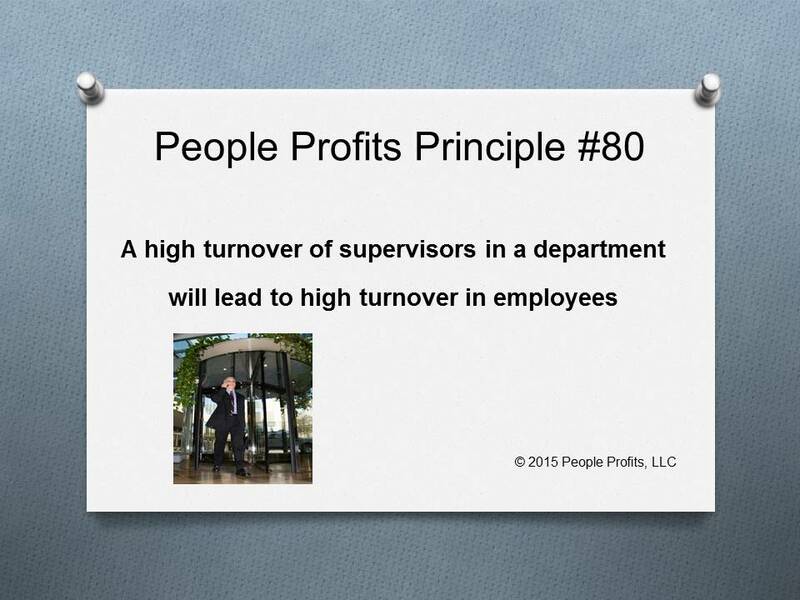 We have found that when a department has high turnover in supervision, it will also drive turnover within the employees. Employees do not like to continually deal with a new supervisor. Most employees crave stability.